Boring Cities Served - Directional Boring, Inc.
Directional Boring Inc. provides directional boring, horizontal auger boring and tunneling contractor services to cities across the United State. We offer city service either directly or through our various partnerships depending on each city’s market conditions and resource availability. Looking for the best boring company in your city? 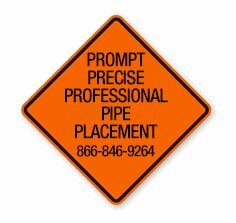 Visit your city to learn more or contact us now to request directional drilling service in your city directly. Choose your city below to find boring contractor services located near you. From city roads to utility infrastructure, we have the expertise and assets to serve city government agencies. 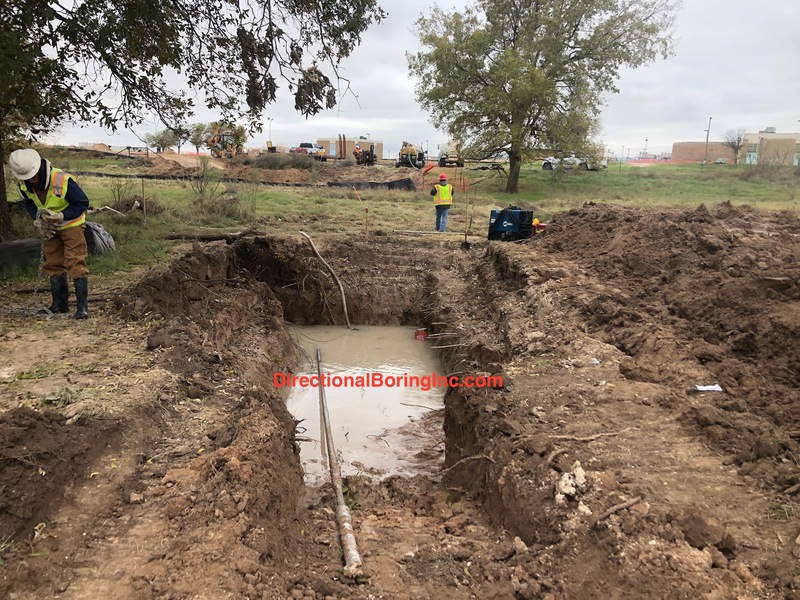 Directional Boring Inc. auger boring, horizontal directional drilling and trenchless underground HDD construction teams can complete city government utility crossings on time and within budget. Directional Boring Inc. services are available under numerous contract vehicles through our affiliates via SBA 8(a), Certified Service Disabled Veteran Owned Small Business (SDVOSB) and others. Akron, Ohio Directional Boring Inc.
Albuquerque, New Mexico Directional Boring Inc.
Anaheim, California Directional Boring Inc.
Atlanta, Georgia Directional Boring Inc.
Aurora, Colorado Directional Boring Inc.
Aurora, Illinois Directional Boring Inc.
Austin, Texas Directional Boring Inc.
Bakersfield, California Directional Boring Inc.
Bensalem, Pennsylvania Directional Boring Inc.
Birmingham. Alabama Directional Boring Inc.
Boston, Massachusetts Directional Boring Inc.
Bowie, Maryland Directional Boring Inc.
Bridgeport, Connecticut Directional Boring Inc.
Brockton, Massachusetts Directional Boring Inc.
Bronx, New York Directional Boring Inc.
Brookhaven, New York Directional Boring Inc.
Brooklyn, New York Directional Boring Inc.
Buffalo, New York Directional Boring Inc.
Camden, New Jersey Directional Boring Inc.
Cape Coral, Florida Directional Boring Inc.
Charlotte, North Carolina Directional Boring Inc.
Chester, Pennsylvania Directional Boring Inc.
Chicago, Illinois Directional Boring Inc.
Cincinnati, Ohio Directional Boring Inc.
Cleveland, Ohio Directional Boring Inc.
Colorado Springs, Colorado Directional Boring Inc.
Columbus, Ohio Directional Boring Inc.
Concord, California Directional Boring Inc.
Conroe, Texas Directional Boring Inc.
Dallas, Texas Directional Boring Inc.
Daly City, California Directional Boring Inc.
Dayton, Ohio Directional Boring Inc.
Deltona, Florida Directional Boring Inc.
Denton, Texas Directional Boring Inc.
Denver, Colorado Directional Boring Inc.
Detroit, Michigan Directional Boring Inc.
Dundalk, Maryland Directional Boring Inc.
Dunwoody, Georgia Directional Boring Inc.
Edison, New Jersey Directional Boring Inc.
El Paso, Texas Directional Boring Inc.
Elizabeth, New Jersey Directional Boring Inc.
Everett, Washington Directional Boring Inc.
Florissant, Missouri Directional Boring Inc.
Fort Lauderdale, Florida Directional Boring Inc.
Fort Worth, Texas Directional Boring Inc.
Fresno, California Directional Boring Inc.
Germantown, Maryland Directional Boring Inc.
Glen Burnie, Maryland Directional Boring Inc.
Grand Rapids, Michigan Directional Boring Inc.
Greensboro, North Carolina Directional Boring Inc.
Greenville, South Carolina Directional Boring Inc.
Hackensack, New Jersey Directional Boring Inc.
Hammond, Indiana Directional Boring Inc.
Hartford, Connecticut Directional Boring Inc.
Hempstead, New York Directional Boring Inc.
Herndon, Virginia Directional Boring Inc.
Hillsboro, Oregon Directional Boring Inc.
Houston, Texas Directional Boring Inc.
Indianapolis, Indiana Directional Boring Inc.
Jacksonville, Florida Directional Boring Inc.
Jersey City, New Jersey Directional Boring Inc.
Joliet, Illinois Directional Boring Inc.
Kansas City, Missouri Directional Boring Inc.
Lakeland, Florida Directional Boring Inc.
Lakewood Township, New Jersey Directional Boring Inc.
Lakewood, Colorado Directional Boring Inc.
Lancaster, Pennsylvania Directional Boring Inc.
Las Vegas, Nevada Directional Boring Inc.
Los Angeles, California Directional Boring Inc.
Louisville, Kentucky Directional Boring Inc.
Lowell, Massachusetts Directional Boring Inc.
Lower Merion, Pennsylvania Directional Boring Inc.
Lynn, Massachusetts Directional Boring Inc.
Madison, Wisconsin Directional Boring Inc.
Marietta, Georgia Directional Boring Inc.
McAllen, Texas Directional Boring Inc.
Memphis, Tennessee Directional Boring Inc.
Miami, Florida Directional Boring Inc.
Middleton Township, New Jersey Directional Boring Inc.
Milwaukee, Wisconsin Directional Boring Inc.
Minneapolis, Minnesota Directional Boring Inc.
Modesto, California Directional Boring Inc.
Naperville, Illinois Directional Boring Inc.
Nashville, Tennessee Directional Boring Inc.
New Bedford, Massachusetts Directional Boring Inc.
New Haven, Connecticut Directional Boring Inc.
New Port Richey, Florida Directional Boring Inc.
New York City, New York Directional Boring Inc.
Newark, New Jersey Directional Boring Inc.
Norcross, Georgia Directional Boring Inc.
Oakland, California Directional Boring Inc.
Oklahoma City, Oklahoma Directional Boring Inc.
Omaha, Nebraska Directional Boring Inc.
Orlando, Florida Directional Boring Inc.
Overland Park, Kansas Directional Boring Inc.
Oxnard, California Directional Boring Inc.
Palm Bay, Florida Directional Boring Inc.
Parsippany, New Jersey Directional Boring Inc.
Paterson, New Jersey Directional Boring Inc.
Philadelphia, Pennsylvania Directional Boring Inc.
Phoenix, Arizona Directional Boring Inc.
Pittsburgh, Pennsylvania Directional Boring Inc.
Plano, Texas Directional Boring Inc.
Portland, Oregon Directional Boring Inc.
Providence, Rhode Island Directional Boring Inc.
Provo, Utah Directional Boring Inc.
Queens, New York Directional Boring Inc.
Quincy, Massachusetts Directional Boring Inc.
Raleigh, North Carolina Directional Boring Inc.
Riverside, California Directional Boring Inc.
Rochester, New York Directional Boring Inc. Round Rock, Texas Directional Boring Inc.
Sacramento, California Directional Boring Inc.
Saint Paul, Minnesota Directional Boring Inc.
Salt Lake City, Utah Directional Boring Inc.
San Antonio, Texas Directional Boring Inc.
San Bernardino, California Directional Boring Inc.
San Diego, California Directional Boring Inc.
San Francisco, California Directional Boring Inc.
San Jose, California Directional Boring Inc.
Santa Rosa, California Directional Boring Inc.
Seattle, Washington Directional Boring Inc.
Spokane, Washington Directional Boring Inc.
Springfield, Massachusetts Directional Boring Inc.
St. Petersburg, Florida Directional Boring Inc.
Staten Island, New York Directional Boring Inc.
Stockton, California Directional Boring Inc.
Sugar Land, Texas Directional Boring Inc.
Syracuse, New York Directional Boring Inc.
Tacoma, Washington Directional Boring Inc.
Tampa, Florida Directional Boring Inc.
Thornton, Colorado Directional Boring Inc. Troy, Michigan Directional Boring Inc.
Tucson, Arizona Directional Boring Inc.
Tulsa, Oklahoma Directional Boring Inc.
Warren, Michigan Directional Boring Inc.
Washington, D.C. Directional Boring Inc.
Waukegan, Illinois Directional Boring Inc.
West Chester, Pennsylvania Directional Boring Inc.
West Palm Beach, Florida Directional Boring Inc.
Wichita, Kansas Directional Boring Inc.
Wilmington, Delaware Directional Boring Inc.
Worcester, Massachusetts Directional Boring Inc.
Yonkers, New York Directional Boring Inc.